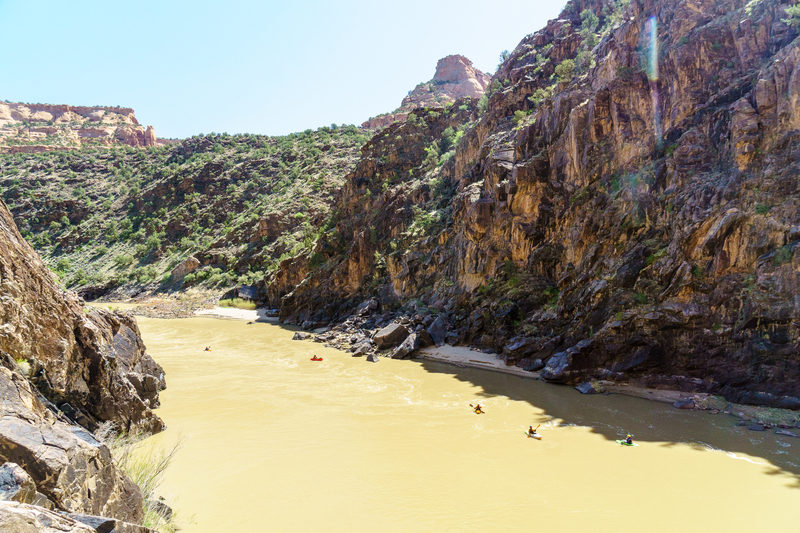 The Westwater Canyon section of the Colorado River is a beautiful one- or two-day run through a striking desert canyon with a few miles of classic whitewater. It’s permitted, but permits are easy to come by in the off-season and upstream dam releases ensure that it’s always flowing (even mid-winter). It can be combined with mellower sections upstream or downstream to make a longer trip. 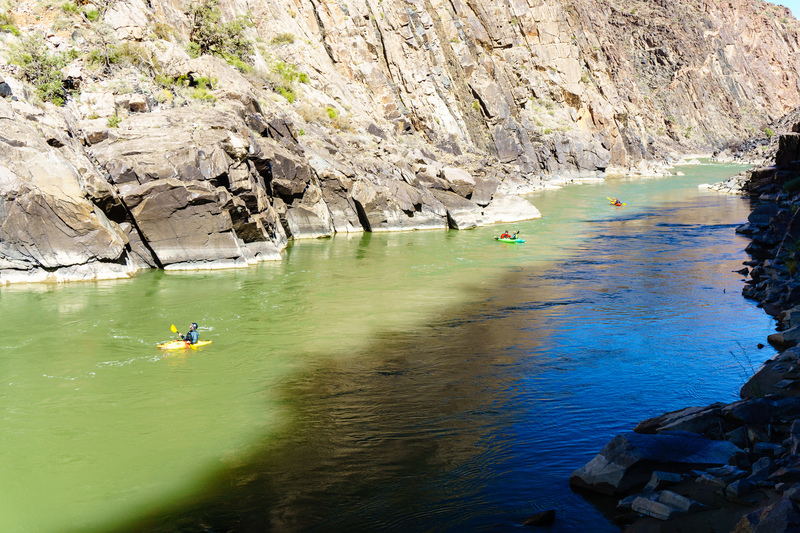 The flatwater on Westwater Canyon does not disappoint. The first aid and repair kit requirements are pretty vague; for kayaks, a typical day-use first aid kit and a roll of gorilla tape is generally sufficient. It’s important to note that most of the gear (except firepan) is required even on one-day trips. The groover requirements are vague; they specify that your system be “washable, leak-proof, [and] reusable.” In practice, they require a hard-sided container — drybags will not pass. A PVC-style groover is a good choice if you have one; if you don’t, a small pelican case, or even something like a nalgene will get you past the ranger. The firepan (for overnight trips) must be at least 12″ diameter and have a 1.5″ lip around the outer edge. This is a much smaller one than required for the Grand, and you can get pretty creative with what qualifies if you need to. A turkey pan from Walmart will do the trick. 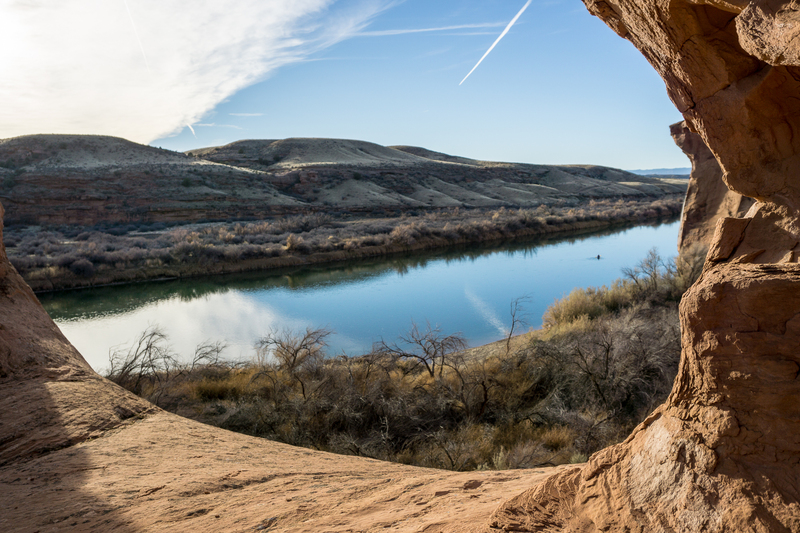 Westwater is permitted year-round, though more permits are available per-day during the “off-season.” You can check availability on the BLM calendar and call (435) 259-7012 Monday-Friday, 8-noon mountain time to reserve. You can have up to 25 paddlers on a permit. Weekend days can be hard to come by, so it’s best to book in advance. There are a couple ways to drive the shuttle on Westwater, but beware — if you plug “Westwater Boat Launch” and “Cisco Take-out” into Google maps, it will recommend a route that you should not take. It’s a maze of 4×4 roads and jeep trails and it is not recommended. Shuttle is about an hour one-way and the closest gas is either Moab or Crescent Junction, so plan accordingly. You can also mountain bike or trail run shuttle on the Kokopelli trail if you’re into that kind of thing. The float out from Westwater Canyon on the Colorado River. At only 19 miles, Westwater is an easy day trip, but it’s a beautiful canyon and camping in the Utah desert — especially in the fall — is very worthwhile. 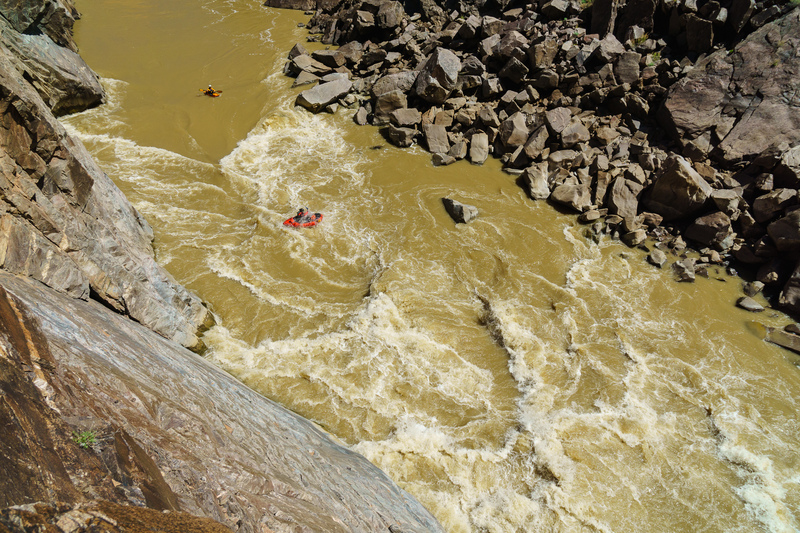 It’s also got some of the best (and only) whitewater within a couple hundred miles for much of the year. There are a handful of campsites above and below the whitewater; not much in the inner gorge. I’ve done it camping above and camping below. Driving out on a Friday and launching late afternoon gives you a nice 1-2 hour paddle through some flatwater and mild rapids down to camp, and your second day starts out with a bang. The reverse is fun too; paddle through the rapids and camp afterwards, leaving yourself an hour paddle out in the morning. Heading towards the rapids in Westwater Canyon on the Colorado River. You can make this a longer trip by adding on the Ruby-Horsethief section upstream or the Cisco to Moab section (or as much of that as you want to bite off) downstream. Ruby-Horsethief is a permitted 25 mile class II run that ends at the Westwater boat ramp. Cisco to Moab is not permitted and about 47 miles; you can take out anywhere after Dewey Bridge though as the river is roadside through Professor Valley.